Some of my greatest food memories revolve around some thick chili soup often made by my pops during the winter months. I like Chili because it is rather easy to make, and it is tremendously nutritious. Chili is also filling, especially if you load up your stove pot with some lean meats like turkey and venison sausage. I don’t spent as much time in the cold weather as I have in past, but that doesn’t mean that I’ll pass up on a bowl of some hardy chili. 1 pound of shredded turkey. 12 ounces of venison sausage. 1 finely diced yellow onion. 2 finely diced green bell peppers. 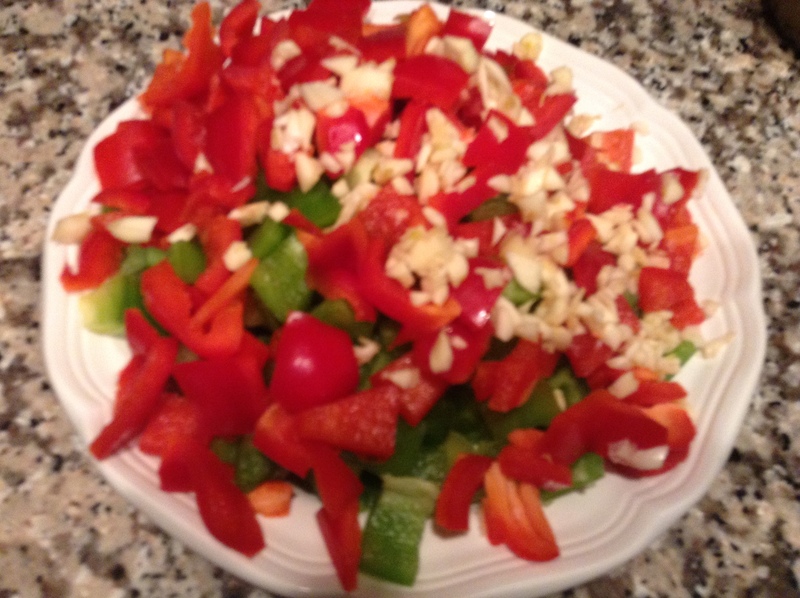 2 finely diced red bell peppers. 1/2 cup of fine green poblano. 1 1/2 teaspoons of ground cumin. 2 cans of pinto beans. 1 can of diced tomatoes with juice included. 1/2 cup of fresh finely chopped cilantro. 2 1/2 tablespoons of paprika. 2 tablespoons of garlic powder. 1 tablespoon of cayenne pepper. 1 tablespoon of dried basil. 1 jar of jalapeno butter. In this particular recipe a left over roasted turkey is being used. 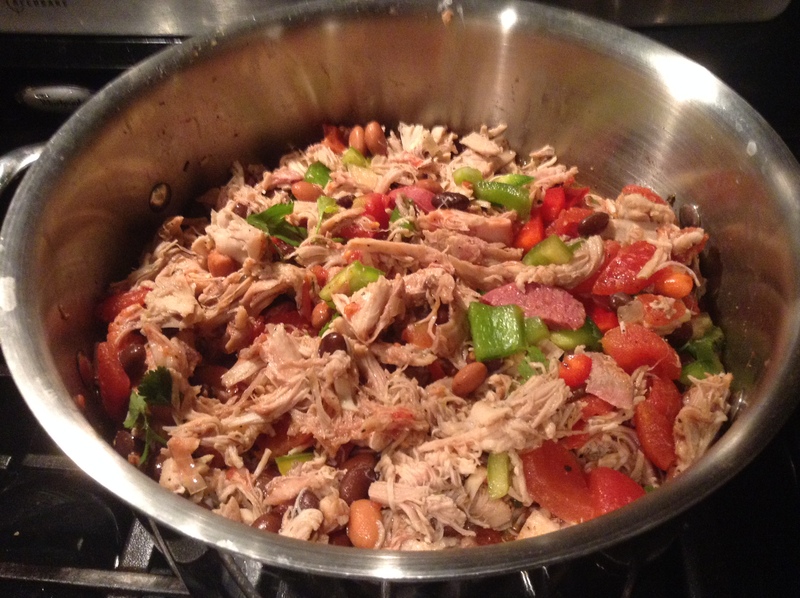 In order to make this with shredded turkey, the turkey must already be cooked. 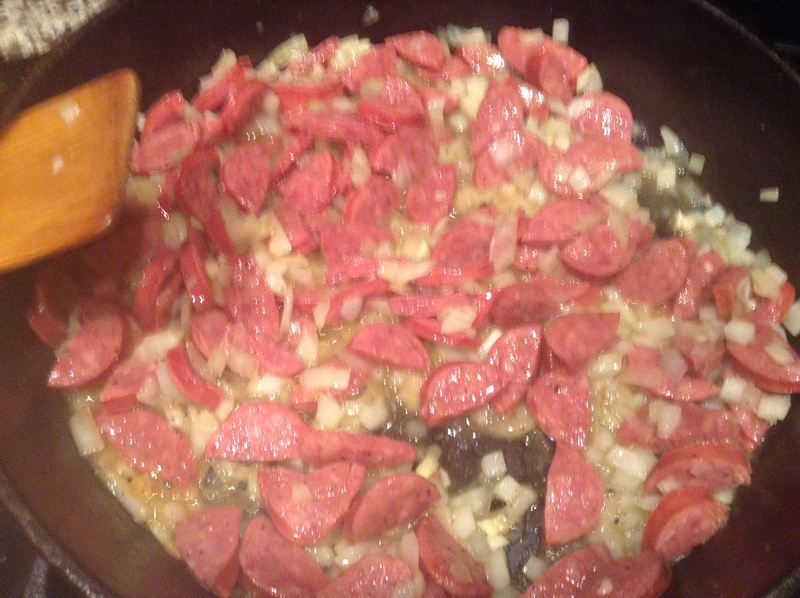 In a medium sized pan, fry the venison sausage along with onions under medium-high heat. Add half the jar of jalapeno butter. Once the sausage is cooked, in a large pot, heat the vegetable oil over medium-high heat. Add the turkey, sausage and spices, and cook, stirring, 5 to 6 minutes. Add the onions, bell peppers, and chilies, and cook, stirring, until soft, about 3 minutes. Add the garlic, chili powder, cumin, and salt, and cook for 1 minute. Add the beer and tomatoes, stir well, and bring to a boil. Reduce the heat and simmer uncovered for 45 minutes to 1 hour, stirring occasionally to prevent the chili from sticking to the bottom of the pot. Remove from the heat and add the cilantro. Adjust the seasoning, to taste, and cover to keep warm until ready to serve. Reheat the chili whenever you are hungry. Chili is one of those meals that get’s tastier every time that you reheat it, since all of the flavors and tastiness is reabsorbing and soaking. Once you have all of your ingredients gathered, get ready for the cooking! Show a man how to cook and maybe he’ll learn. Teach a man how to cook and he’ll feed himself, his family, and his friends. Until next time, I’ll get back on my grind and keep writing.